The Yorkshire Event Centre has 6,270m² of indoor exhibition space available to hire. There are 6 million people living within an hour of the YEC – which is a fantastic catchment area from which to pull large audiences.  The YEC has 6,270m² of indoor, excellent event space available to hire, supported by a dedicated event management team. We’re a perfect choice for trade and consumer exhibitions, conferences, awards ceremonies, dinners, corporate events, roadshows and much more. Our central UK location gives us fantastic access and beautiful surroundings in the iconic spa town of Harrogate. We’re just 15 minutes from the motorway, with plenty of free parking and just a 10 minute walk from the nearest train station. With two halls and 250 acres of outdoor space, we’re the ideal venue for your next event! for both visitors and exhibitors. We have recently invested in a new purpose built hall providing a dynamic and contemporary clear span event space ideal for exhibitions, corporate events, large scale conferences, AGM’s, sporting events and concerts. Whether it is an exhibition, conference or private dinner you are looking for, Hall 2 is the ideal large venue in Harrogate. Offering 1,950m² of event space with high eaves, Hall 2 is the perfect backdrop for conferences, exhibitions and fantastic celebration dinners. The Tandem Tops comprises two open sided buildings offering 5,458m² of covered event space, surrounded by grassed areas, giving you a world of opportunities. For great covered event space, view our Tandem Tops here. Here at the Yorkshire Event Centre in Harrogate, we have 250 acres of land providing a variety of flexible outdoor event spaces ideal for film location shoots, concerts, scout camps, team building events and car rallies. In addition to all that space we have 7 miles of roadways, lots of quirky buildings plus a dis-used viaduct. Variety is the spice of life! If you have an idea, we probably have the perfect location for it.